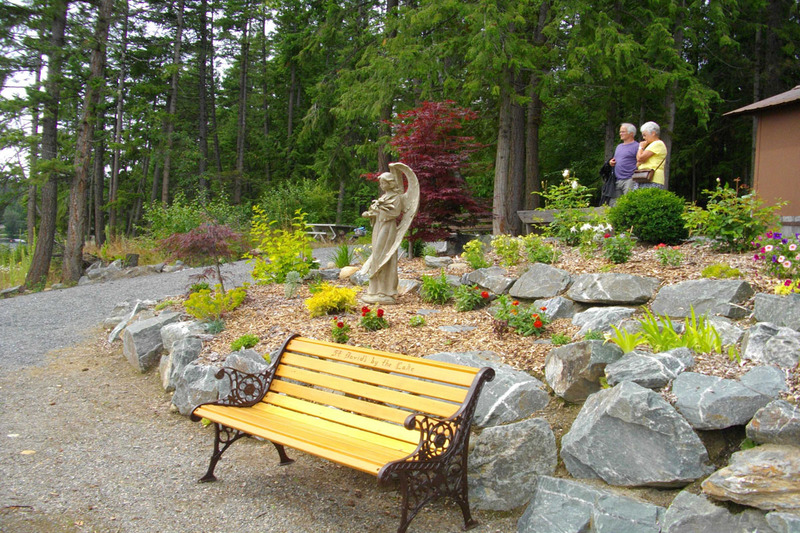 A few years back, Christine Trueman and Joan Hein had a vision of turning the weed covered lakeside area at the back of the church into a beautiful Meditation Garden, complete with a bench and cross. Then, Auriel and Malcolm Mackenzie donated a classic old park bench which Jack Lebans skilfully refinished. This has been a perfect spot for people to come and just sit quietly; and also, Melanye starts her Sunday School classes there on a nice day. Take a walk down to the lakeside and read the inscriptions on the brass plate at the bottom of the cross and on the bench.